Schenectady County, New York, is on track to pay 20 percent less on prescription drugs for its employees this year than in 2003. Flagler County, Florida, expects to save nearly $200,000 in 2017 on brand-name medicines for its 800 workers, its total drug costs having fallen by 10 percent since last year. Kokomo, Indiana, has found a way to save so much money buying drugs that it offers employees a 90-day supply of dozens of popular brand-name medicines for free. 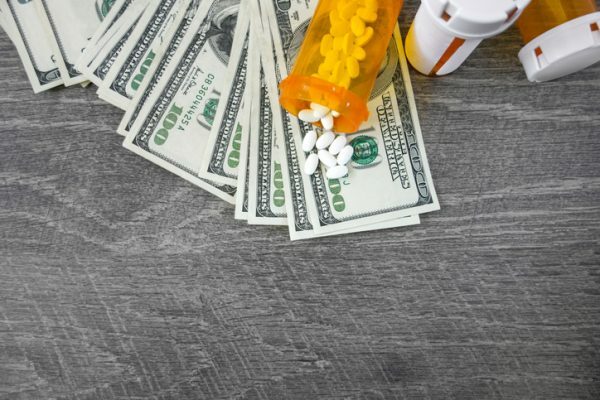 While the nation grapples with soaring prices of drugs, dozens of cities, counties and school districts across the country have quietly found a solution they say protects their budgets and saves workers money: They are helping their employees buy medicines from pharmacies in Canada and overseas, where prices are up to 80 percent cheaper. “We love it … it’s a win-win for us and our employees,“ said Anita Stoker, benefits and wellness manager for Flagler County, on Florida’s northeastern coast, which in 2015 started offering its employees a program to get drugs from pharmacies in Canada, England, Australia and New Zealand. The numbers are growing, even though the U.S. Food and Drug Administration says the practice of importing prescription drugs is illegal and is stepping up enforcement, with raids on stores that helped people order overseas, and even visiting some customers’ homes to collect evidence of illegal purchases. So far, the FDA has made no move to shut down these employee benefit programs — a few dating back over a decade, but most far more recent. But signaling it may be stepping up enforcement — at least against middlemen who facilitate the practice — the FDA in October raided nine Central Florida storefronts that helped a mostly senior population buy drugs from Canada and other countries. The stores don’t stock any medicines but assist consumers in ordering drugs from foreign pharmacies. Criminal investigators warned the store’s owners they were operating illegally and could face fines or jail time. They were not shut down. Bill Hepscher, co-owner of Canadian MedStore, which owns six of the nine storefronts visited by the FDA, defends his practice, saying he’s only helping consumers do what the FDA says they can do without fear of government prosecution. He said it’s not fair that his stores get targeted for assisting consumers while municipalities across the country are doing the same thing for their employees. This includes the school district in Pasco County, where Hepscher has one of his stores. Congress has passed legislation legalizing the importation of prescription drugs several times in the past 20 years, but both Democratic and Republican administrations have opted not to implement it. The FDA has said reimporting medicines from outside the United States is dangerous because of the possibility that medications are counterfeit, mislabeled or otherwise unsafe — a view vigorously supported by the industry. The pharmaceutical industry applauded the recent FDA raids. “We welcome the FDA’s action to crack down on drug importation schemes,” said Holly Campbell, a spokeswoman for PhRMA. But rising drug prices have given this reimportation idea new life — in Congress and in practice. A growing number of city and county officials argue that their employees should have the option to buy less expensive drugs and that helping them do so doesn’t violate any laws. In recent years, millions of Americans have driven over the border to Canada and Mexico or used the internet to buy medicines from foreign pharmacies for personal use. A Kaiser Family Foundation poll in 2016 found that 8 percent of respondents said they or someone in their household had imported a drug at some point, a figure that would translate to about 19 million adults in the U.S. based on current Census population estimates. In the early 2000s, several states, including Maine and Illinois, briefly maintained websites to help residents buy drugs from Canada. The programs were discontinued, amid opposition from federal authorities, the pharmaceutical industry and GOP politicians. Now, cities, counties and school districts are stepping in. Consumers need a doctor’s prescription just as they would to buy medicine from their local pharmacy. Drugs ordered from overseas often come with the same packaging as in the U.S. CanaRx, based in Windsor, Ontario, and ElectRx, based in Detroit, says it vets the pharmacies (generally in Canada, England and Australia) to ensure customers get the real product. Counties, cities and schools — as well as a growing number of private companies — contract with one of these companies for online service. These companies do not sell to individuals. They sell only a three-month supply of medicine and do not provide drugs that are available as generics in the U.S. The price savings for common medicines outside the U.S. can be huge, since other nations negotiate prices with drug manufacturers or allow cheaper generic equivalents to be sold more rapidly. Take Canadian MedStore, for example. It sells a 90-day supply of Januvia for $83, imported from England. The same supply of the diabetes drug can cost $423 in the U.S. An Advair Diskus, which goes for $417 in the U.S., MedStore gets from New Zealand and sells for $96. Xarelto, a popular blood thinner, costs $89 per month imported from England, versus $485 a month in the U.S.
Companies selling drugs from Canada and overseas say the FDA’s safety concerns are unjustified. The recent FDA raids on Hepscher’s Florida storefronts followed a sting operation in which undercover agents purchased medicines from overseas — all of which proved in testing to contain the ingredients matching the medicines ordered. Cities and counties that facilitate online ordering from overseas often do so on the advice of their insurance brokers. “In this day and age, when it’s common for employers to see a 20 or 30 percent annual increase in drug costs, we are seeing a negative drug trend in Flagler County — that’s unheard of,” said Sherry Bugnet, an account executive with The Bailey Group, an insurance broker in St. Augustine, Fla.
Schenectady County, New York, has worked with CanaRx for over a decade to allow employees to buy drugs overseas, saving more than $10 million during that period, with no complaints; prescriptions involve no copay if the service is used. The few times drugs were confiscated at an international mail-processing facility by customs officials, CanaRx merely re-sent the shipment. “It helps us keep our tax rate down and helps us give cost-of-living increases to employees,” said Chris Gardner, a county attorney who helped start the program, through which he has ordered medicines for cholesterol and blood pressure. Since 2012, Kokomo, Indiana, has let its employees get brand-name drugs with no copayment if they order from Canada and overseas through ElectRx. “Our employees like it, and it’s very simple and easy to use. Their doctor fills out a prescription, they send it in, and the medication goes right to their home,” said Kathy Horton, director of human resources for the city, about 60 miles north of Indianapolis. Encouraged by the successes in other parts of Florida, Patricia Howard, senior manager for benefits and risk at Pasco County Schools, said the county in July started offering the international pharmacy option to its 9,600 employees and dependents to buy brand-name drugs. Employees pay zero for their first 90-day order, then $10 for each 90-day refill. About 75 workers have used the program. Other parts of Florida will soon join in. Both the Palm Beach County Clerk & Comptroller and the city of Sarasota are set to unveil similar programs in January. ”I have no questions about the legality, as that’s already been vetted,” said April Bryan, the city’s general manager of human resources. Finalists for the 2019 NCC-PDI competition are announced the day of the event on April 30. Obesity affects nearly 40 percent of adults in the U.S. and has a direct impact on healthcare costs.